SELECTED’s robustly knitted zip-up cardigan is a handsome way to kit yourself out for the season. 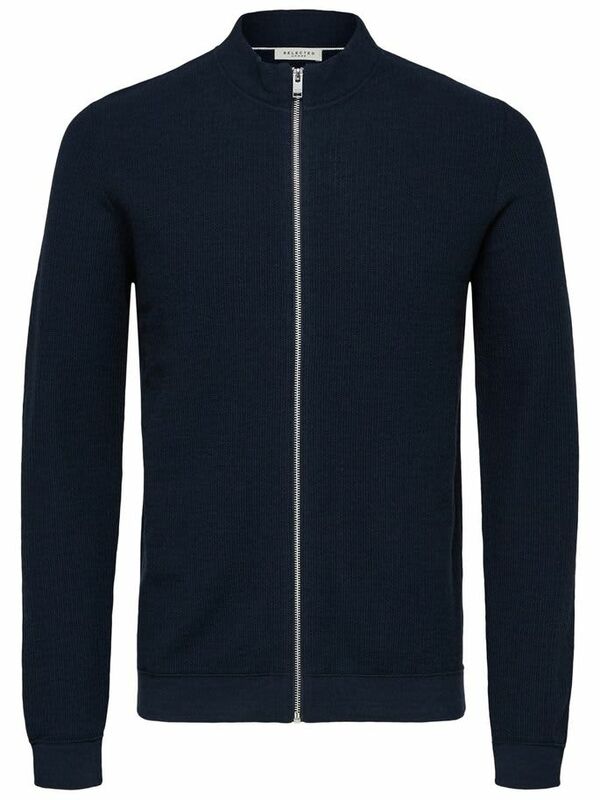 Made in organic cotton and cashmere, it has a relaxed shape, designed to layer well with a T-shirt or under a jacket. The cardigan has a silver zip and a structured feel.